A 34-year-old man has been arrested in connection with an Islamophobic incident at a Bristol mosque during which an unidentified gang left bacon sandwiches outside the building and yelled Islamophobic slurs at worshipers. The city’s mayor, George Ferguson, has condemned the attack, which occurred early Sunday afternoon during prayer time. 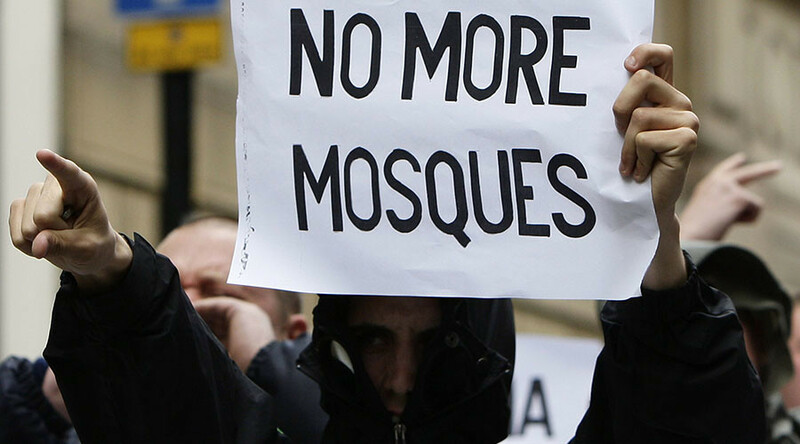 The small group responsible for the incident is also said to have displayed a sign with the message “No mosques,” according to local eyewitnesses. Police have said that two men and a woman were involved. Someone hit Totterdown mosque with bacon sarnies don't know who done it but fair shout to them. Abdul Malik, the mosque’s chair has praised the neighborhood’s show of unity and support in response to the attack. “We stand with Totterdown’s local community and neighborhood in unity at this time, this type of incident is very rare in our wonderful city and we do not feel that this is anything more than a group of opportunists who found a spot to take a photo which indeed reflects their character and offensive cause,” he said in a statement. @TellMamaUK The Bristol United patriots seem to know lot about the incident, took time to pic. the scene too. I'm disgusted by cowardly attack on members of Jamia #Mosque today & stand with you to show #Bristol does not tolerate such vile behaviour. Supporters left flowers and cards outside the mosque’s entrance on Monday after news of the attack was circulated on social media. Kevan Rowlands, chief inspector of the Avon and Somerset police, said: "Behavior of this kind is totally unacceptable. Our communities have the right to live and worship peacefully without fear of being targeted for their race or religion. "We take all hate crime incidents extremely seriously and we are working closely with the mosque to ensure the offenders are held to account for their abhorrent actions."